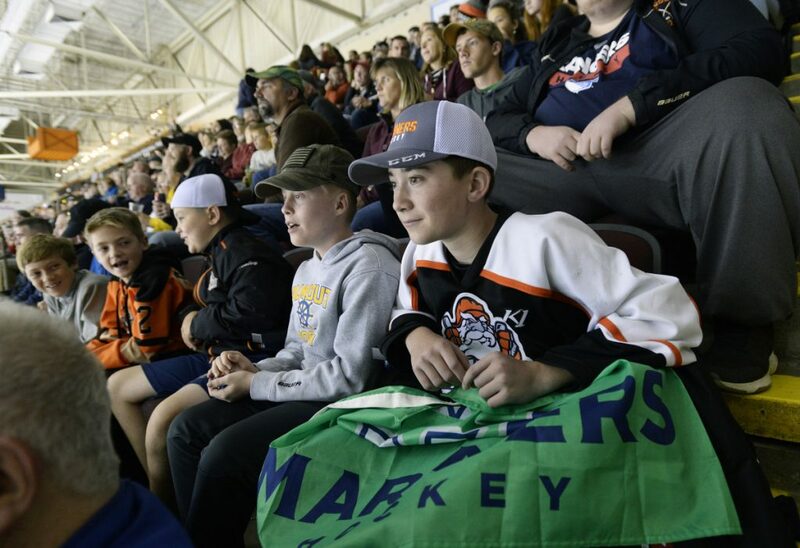 Portland's back in the pro hockey business, with more than 5,000 fans turning out to watch the new Maine Mariners, who drop their opener. 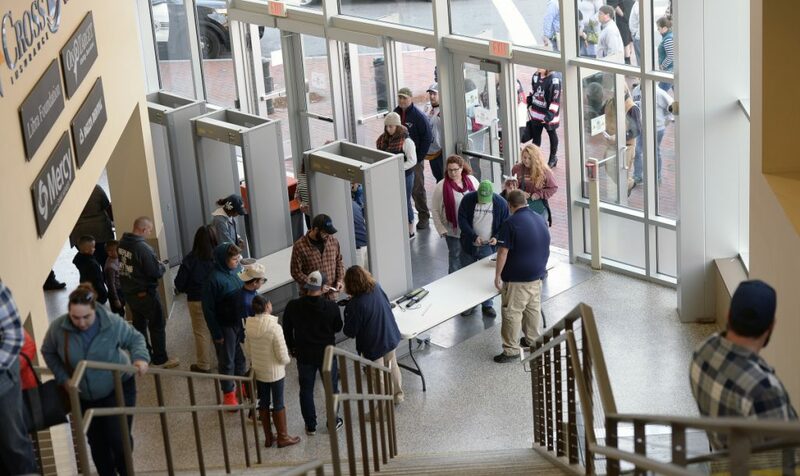 Except for the result – a 6-3 loss to the visiting Adirondack Thunder – the second coming of the Maine Mariners was a rousing success Saturday night. 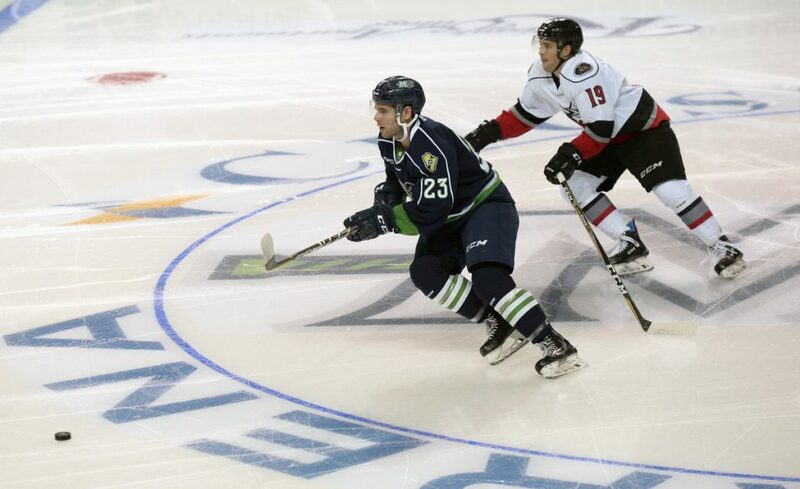 A crowd of 5,291 gathered inside Cross Insurance Arena to witness the return of professional hockey to downtown Portland after an absence of 21/2 years. A three-goal deficit 10 minutes into the game dampened enthusiasm, but only briefly. 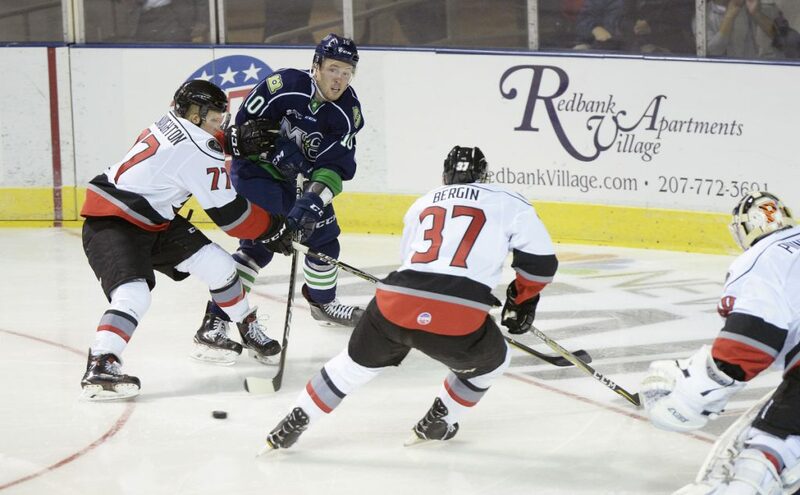 Jason Salvaggio, who played his college hockey at the University of New Hampshire, uncorked a slap shot from the top of the right circle on a power play for the organization’s first goal. Fans thirsty for something positive roared their approval. 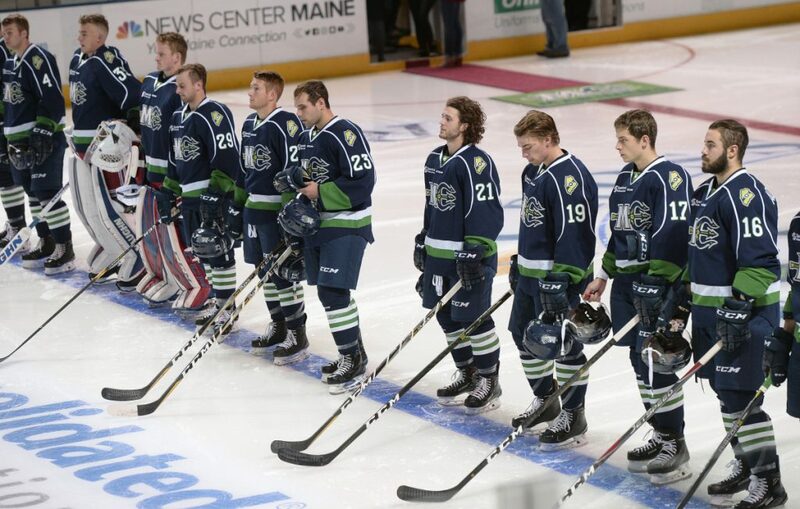 Saturday marked the first of 36 home dates for the Mariners, who play in the ECHL, one tier below the American Hockey League familiar to fans of the original Mariners and the team that followed them, the Portland Pirates. Plenty of Pirates jerseys were on display as fans of that franchise, which was sold in 2016 and turned into the Springfield (Massachusetts) Thunderbirds, turned their attention to the young Mariners. 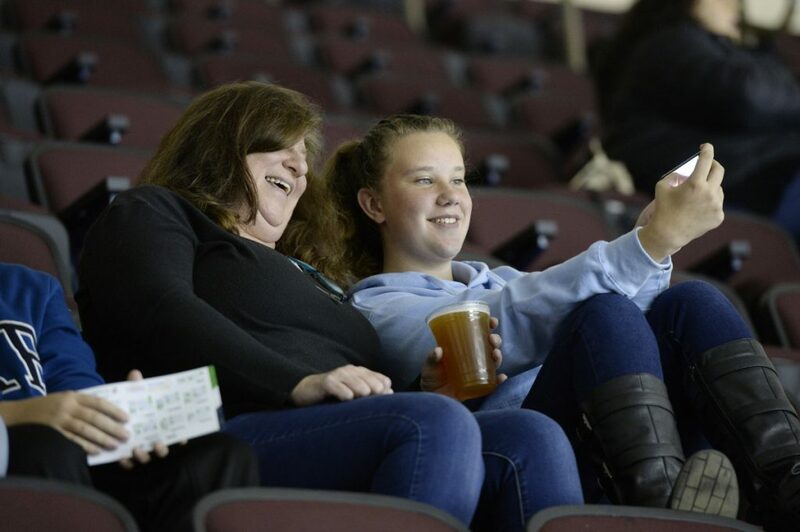 “Who doesn’t love hockey?” wondered Jaclyn Bergmann, 32, of Auburn as she whiled away the final minutes before the game. Behind her, three dozen fans waited to purchase merchandise. Bergmann wore a black Boston Bruins sweatshirt. Outside, through a bank of windows, she could see the Old Port skyline and masts from sailboats in Portland Harbor as cleansing afternoon sunshine replaced morning showers. 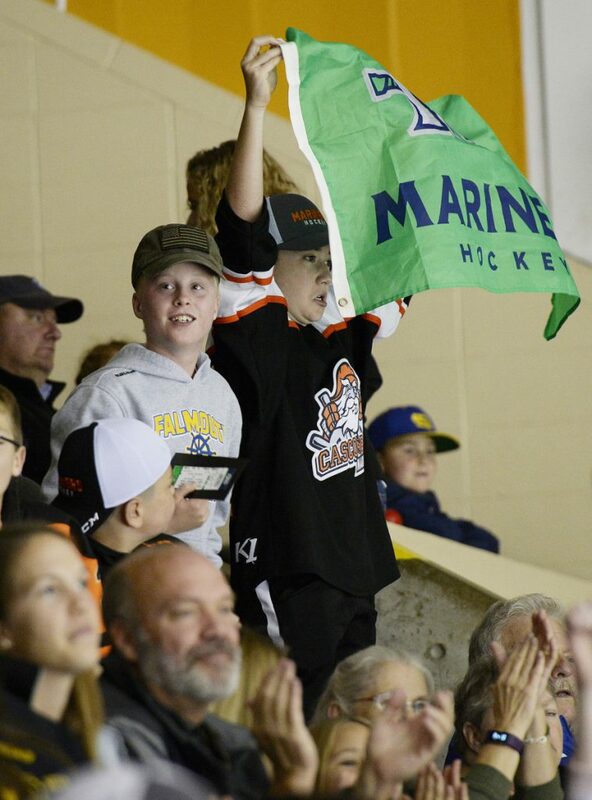 The original Mariners wore orange and black, and won the Calder Cup in their first two seasons. Their three championship banners hang from the rafters, as does one from the 1994 Pirates. 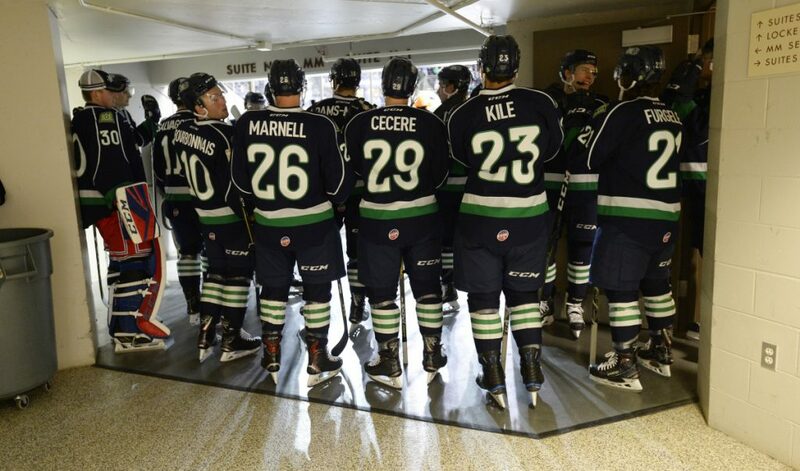 These Mariners wear navy blue and green, and are still learning each other’s names. Martin is under contract to the Buffalo Sabres. 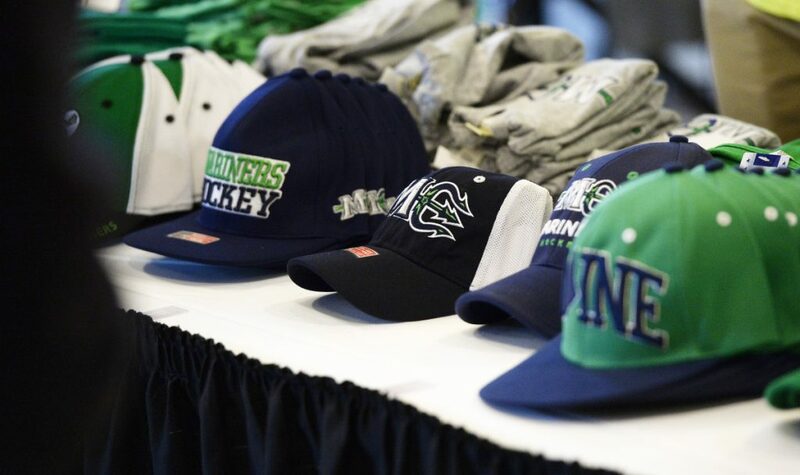 The New York Rangers, Maine’s NHL affiliate, supplied three other players. The Montreal Canadiens, who have no ECHL affiliate, also supplied three. So it wasn’t surprising that the Mariners stumbled out the gate. Soon enough, Scott Savage set up Salvaggio and the Mariners were on the scoreboard. That was the high point for 9-year-old Henry Beauparlant, wearing a blue Mariners hat and attending the game with his parents, Steve and Kathy. Steve grew up in Lewiston but now lives in Salem, Massachusetts. 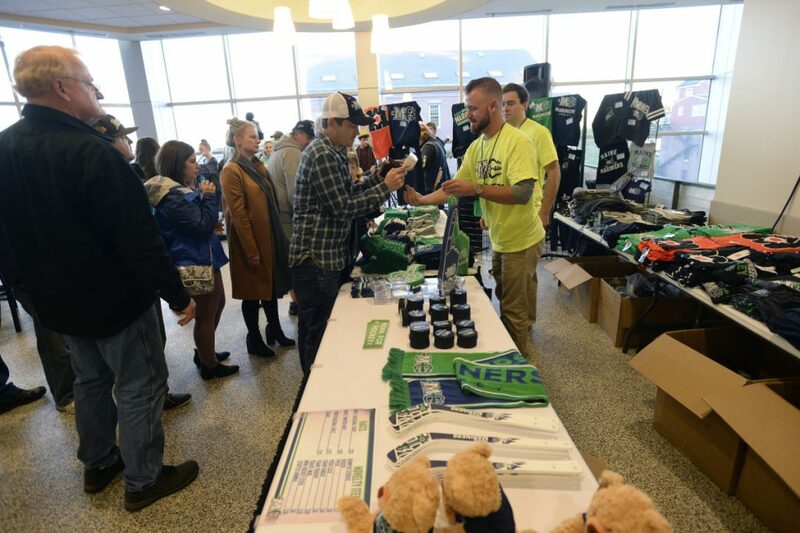 For the same price as two Bruins tickets, he bought a five-game Mariners promotional package for his family of three. 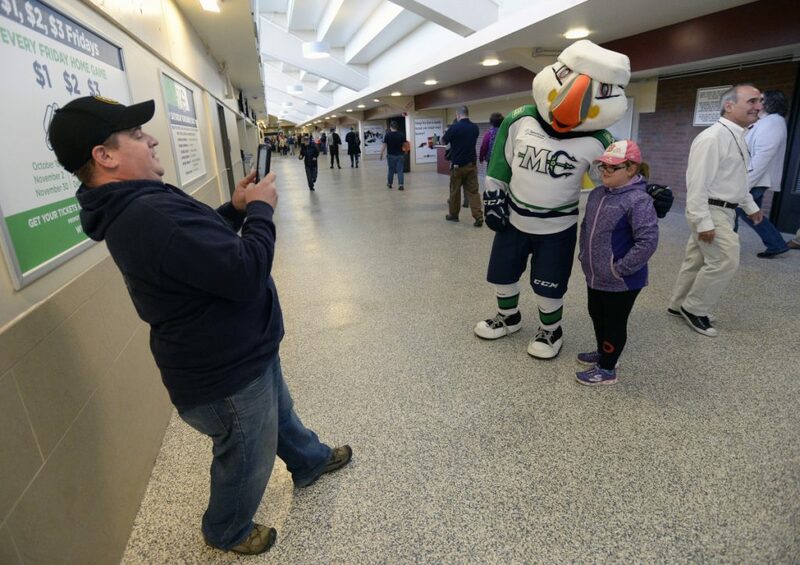 Even the big crowd seemed a little unsure of itself after two years without hockey. Steve figured a “Let’s go Mariners” chant might have too many syllables to roll easily off 5,000 tongues. Despite their slow start, the Mariners proved a spunky bunch. They scored another power-play goal, this one courtesy of Ryan Culkin, to make it 3-2 early in the second. But the one-goal deficit lasted only 35 seconds before Conor Riley of Adirondack jammed the puck past Maine goaltender Brandon Halverson for a 4-2 Thunder lead. 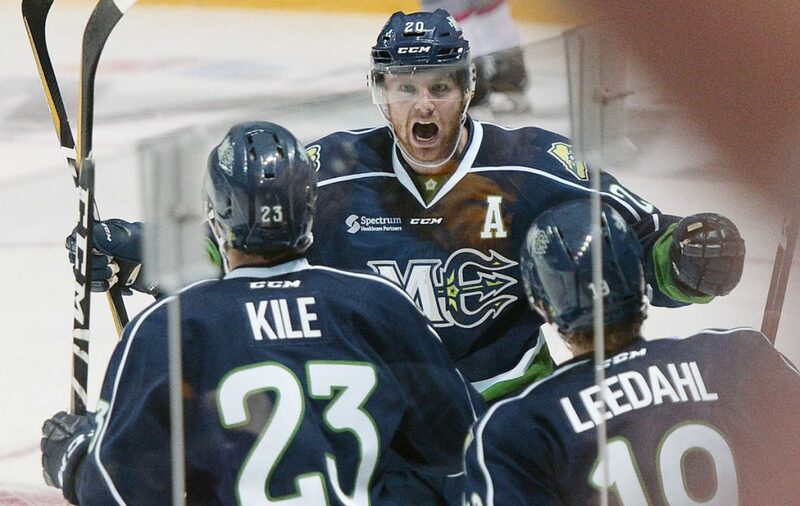 Alex Kile, who over the summer became the first player to sign with the Mariners, deftly tucked a backhander into the net to make it 5-3 in the second. Five minutes into the third, syllables be damned, the Portland faithful followed a particularly spirited offensive flurry with a “Let’s Go Mariners” chant punctuated by five rhythmic claps. Not coincidentally, the season’s first fight broke out between Martin and Adirondack’s Riley, not far from the Mariners’ bench. After being separated, Martin skated to the penalty box, twice flinging both arms in the air to further exhort the crowd.